We will periodically send advice to cyclists who have signed up to Ride for the Band. Cyclists who would like to ride together while training or have questions should email Treb Clef at TrebCleff@comcast.net. Read on for some of the past advice offered to cyclists from Treb Clef and his advisors. Looking for a bike? When you walk into a bike store, chances are the "young" salesperson will not know much about cyclocross bikes. Cyclocross bikes are designed with a more relaxed frame, longer chain stays, and wider fork so one has the option of using regular street tires or wide more comfortable dirt type tires. 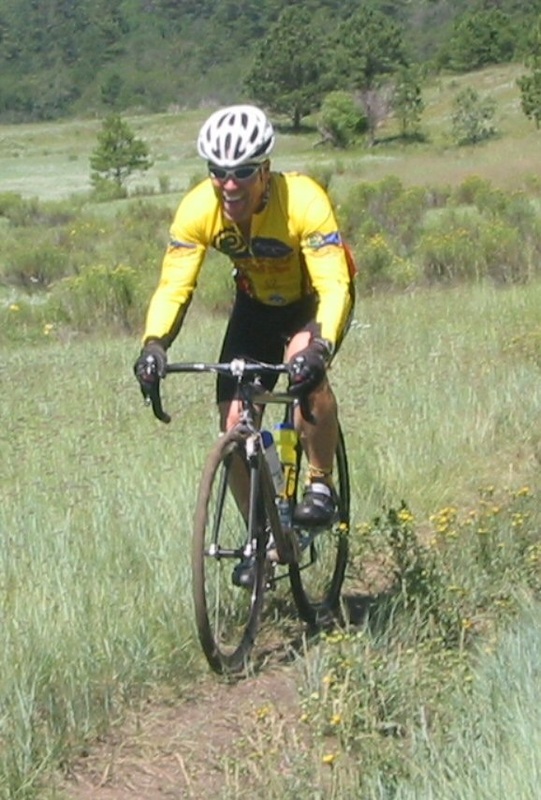 I use the same cyclocross bicycle for club rides and dirt road riding. Nothing wrong with the typical road bicycle, but if you are a master age rider, I promise, you will be more comfortable, which directly enhances peddling efficiency, for longer rides. Many master age riders with varying degrees of back, neck, or shoulder issues are more efficient and comfortable on a machine that allows one to sit upright as opposed to the aerodynamic modern road racing bicycle position. Many riders want the option to ride grass, dirt roads, and importantly one never complains about chip seal vibrations with larger tires. Gearing for Seniors? Smaller chain rings and large cassettes a.k.a. "low gears" allow us to climb with more comfort and less joint stress; however, aging studies promote pushing our heart rate as quite beneficial for physical and psychological health. Geriatric studies have shown raising heart rate to eighty percent of maximum, a couple times a week is good stress. For us older cyclists, standing a few times during climbing is also good weight bearing stress. On a steep grade standing on the bike will raise our heart rate six to eight beats within fifteen or twenty seconds, and what I find especially interesting is more of the studies are showing high intensity exercise in those of us over sixty and seventy can reverse some of our ailments, increase heart pumping volume, and overcome bouts of depression.